Start by figuring out your needs. Think about what conditions your new home has to meet, keeping the future in mind. It is important to consider as many aspects of your living situation as possible. For example, should the apartment be easily accessible even when you get older? Or do you wish to start a family soon? Decide on the location, size in square meters, and the characteristics of your dream home in advance. For example, women can have very different criteria for making decisions than men. Before you purchase your first condominium, make sure that you can finance it in the long term. Calculate how much capital you have available and what the maximum cost of the condominium can be. It is especially important to calculate the affordability of the mortgage. How much funding can you provide yourself, and can you spare money from the pension fund or pillar 3a to buy the condominium? Also keep in mind the costs of furnishing the apartment and of potential small renovations. Looking to purchase your first condominium? You should keep the following eight aspects in mind when buying an apartment. It is often necessary to take out a mortgage when buying your first condominium. Have the bank advise you and show you various options early on. 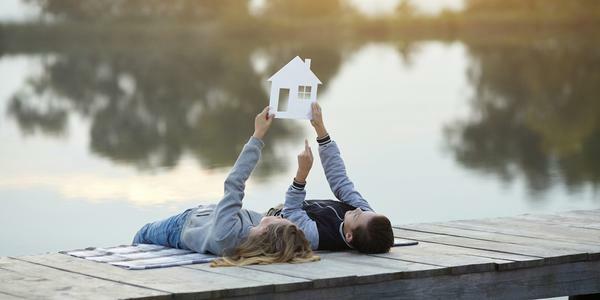 Individual needs are the deciding factor when it comes to choosing the mortgage model. Additionally, the experts can give you tips for your search at an early stage and clarify outstanding questions about financing. Once you have clarified your needs and gotten a preliminary overview of financing, it is time to search for suitable properties. Housing prices may vary greatly according to the state of the real estate market and the region. Use various search methods, such as online portals and newspaper advertisements. In addition, the bank can often provide information about properties for sale. Once you have selected a few properties that meet your requirements, it is time to start visiting the condominiums. Arrange viewing appointments for multiple properties so that you have opportunities for comparison. If you are purchasing your first condominium alone, it can be helpful to take along someone who's more experienced. After all, two heads are better than one! Once you've picked your favorite, it's a good idea to take a second look at the property. Assess the condition of the condominium as well as the location, environment, and neighborhood. Obtain documentation about the condominium, such as the building plan, from the responsible party. Are you concerned that purchasing a condominium could be the wrong decision? Read these seven misconceptions about buying property and learn why you can actually afford to buy your own condominium after all. Once you are sure that a property meets your needs, then make your purchase intention clear. The value of the condominium must be determined so that the bank can calculate the terms of the mortgage. It makes sense to have an expert evaluate the property. This way, you can be sure that the price offered to you in the contract of sale offers a realistic value for your money. Before the conclusion of the sale, you have the opportunity to negotiate the purchase price or arrange for further conditions, such as new flooring or improved technical installations. In Switzerland, a notary must officially certify the contract of sale. Buying the condominium is only half the battle! Now it is time to plan your move. Consider what furnishings you still need to get, and when and how you will move your possessions into your new owner-occupied home. Ask friends and family if they will help you move, or get a quote from a moving company. With careful organization, you can start the next chapter of your life within your own four walls with no stress. Looking to buy your first apartment? We will be happy to assist. Call us at 0844 100 114.